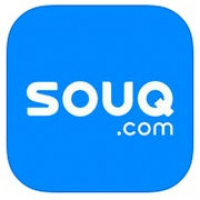 In our post from last week, we highlighted Top 5 Mobile Apps Crushing It In The Middle East. As we wrapped up that post, we promised to show you how these apps are (and can) leverage SMS as part of their overall marketing and operations strategy. 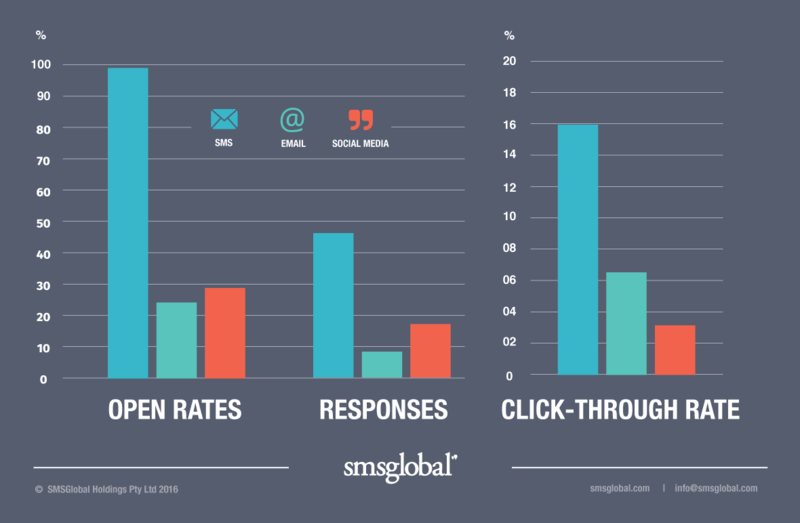 Before we dive head first into the magic of SMS, let us first set the tone with these super simple graphs focusing on open rates, response rates, and click-through rates across the three most common communication medium types for businesses. Pretty impressive, right? Let's quickly highlight an important statistic for you. Unlike emails, SMS has an incredible open rate of 97%, and the majority (about 90%) are read within three minutes of being received. On the cost side, SMS boasts one of the best cost vs benefit rationales of any marketing channels available, with businesses spending as little as AED 0.075 per message in exchange for a near 100% guarantee their message will be seen by its target audience. 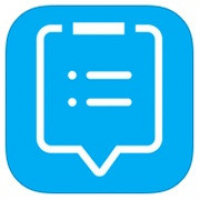 Now that we have your undivided attention, let’s take a look at how SMS is helping your favorite apps with their overall communications strategy. 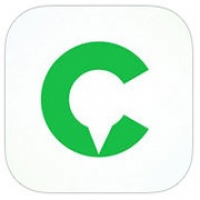 As a popular ride hailing service, Careem’s business is all about striking an excellent balance between demand and supply of cars when a user hits the “Call the Captain” button. A big part of managing that equation is also ensuring that the user knows their ride is on the way. So Careem leverages SMS (examples below) to send notifications and promotional messages as part of being awesome. Confidentiality is the number one priority in healthcare and wellness. 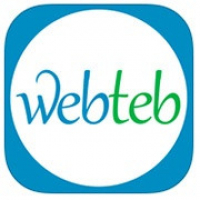 Users turn to Webteb to help them make informed decisions about their health, using the app to connect with doctors. While performing these actions a great deal of sensitive information is exchanged between the app and the user. 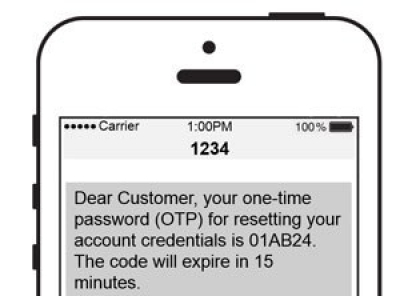 As shown below, Webteb can use SMS to protect their user’s identity (and corresponding information) by sending them one-time passwords (OTP) when they need to reset their account credentials. They can also use SMS to alert users and let them know a doctor has replied to their query. 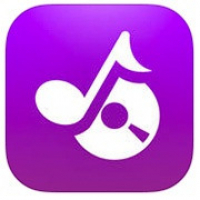 Music is meant to be enjoyed and shared, and that’s exactly what Anghami let’s users do with its mobile app. 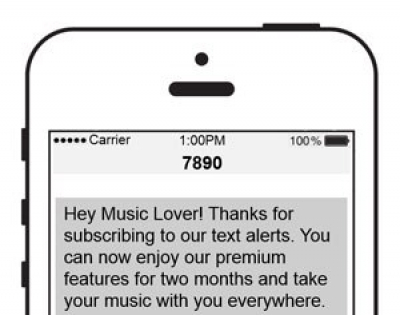 But what if you (as a user) could receive two months of their premium features free for subscribing to their text messages. Additionally, Anghami could also send text messages to its users promoting music and festivals in their cities based on the user’s preferences. By taking market research and crowdsourcing to a whole new level, TaskSpotting has proven to be a ultimate win-win for both businesses and consumers. Now add some SMS magic to this relationship and what you get are text notifications each time you complete a mission as well as a status bar telling you how close you are to completing your next milestone. Finally, when you hit your milestone, you receive a text message with a personal code and instructions to collect the well-deserved hard cash from the designated payment centers. Tadaa! So there you have it. These were just some of the ways SMS can add real value to your business. Bear in mind that it's not just mobile apps that are benefitting from integrating SMS into their business strategy. Industries from aviation and real estate, to finance and education, are all reaping rewards from this versatile communication tool. 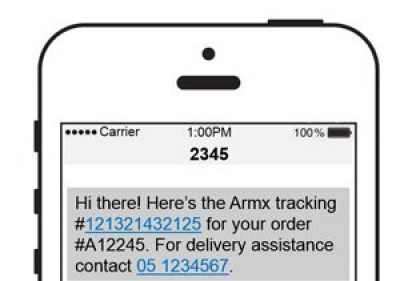 If you need any assistance with incorporating SMS into marketing or operations strategy, click on the button below to contact us and we’ll be more than happy to help you out. Disclaimer - The mobile apps mentioned in this post are not our currently our customers. The examples shown above are products of the author’s imagination. Any resemblance to actual promotions or SMS is purely coincidental.